Home > ACD Systems International Inc.
Found 36 file extension associations related to Canvas and 21 file formats developed specifically for use with Canvas. If you work with technical illustrations and graphics, you know how daunting the task can be when a project requires various documents, images, and data – even legacy files from obscure formats or obsolete products. 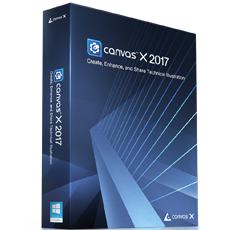 Canvas is your cost-effective integrated solution that lets you work with reliability, accuracy, and flexibility.. Directly import from over 100 standard file formats (including PDF, DXF, and DWG) and use Canvas’ many tools and features to create stunning illustrations, graphics, and presentations that can be shared in a variety of formats. If you need more information please contact the developers of Canvas (ACD Systems International Inc.), or check out their product website.